XAW044804 ISLE OF MAN (1952). "Metropole" Hotel Ltd., Queen's Promenade, Douglas, Isle of Man, Isle of Man, 1952. Oblique aerial photograph taken facing North/East. This image was marked by Aerofilms Ltd for photo editing. 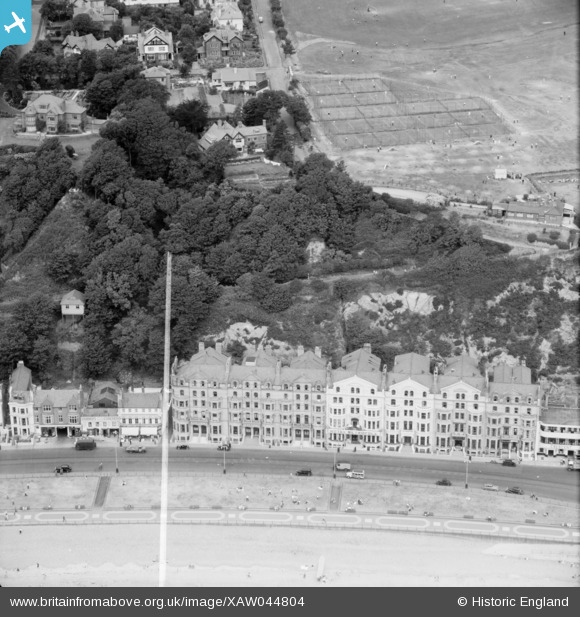 Pennawd [XAW044804] "Metropole" Hotel Ltd., Queen's Promenade, Douglas, Isle of Man, Isle of Man, 1952. Oblique aerial photograph taken facing North/East. This image was marked by Aerofilms Ltd for photo editing.